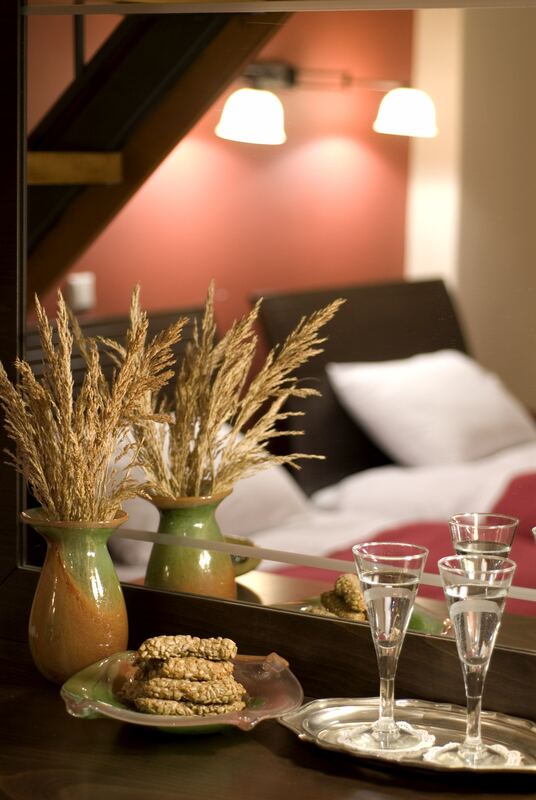 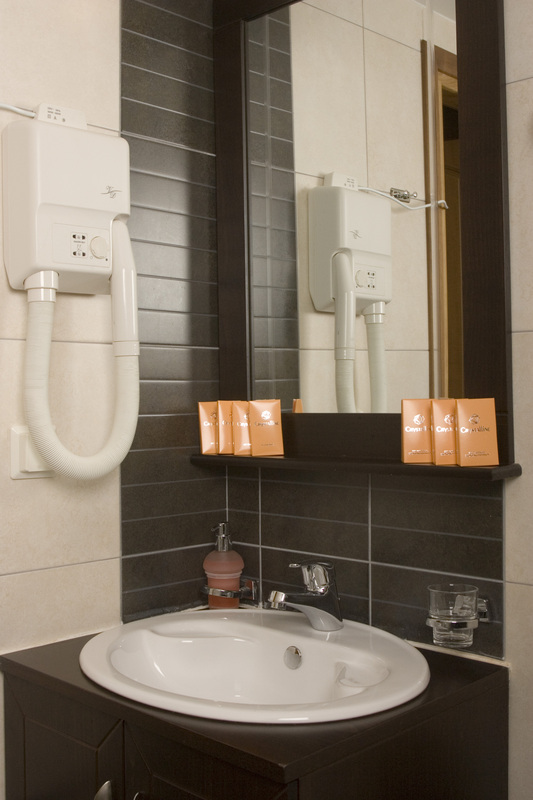 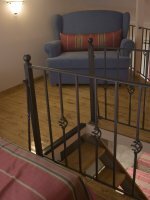 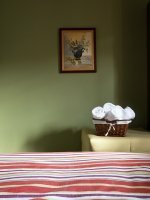 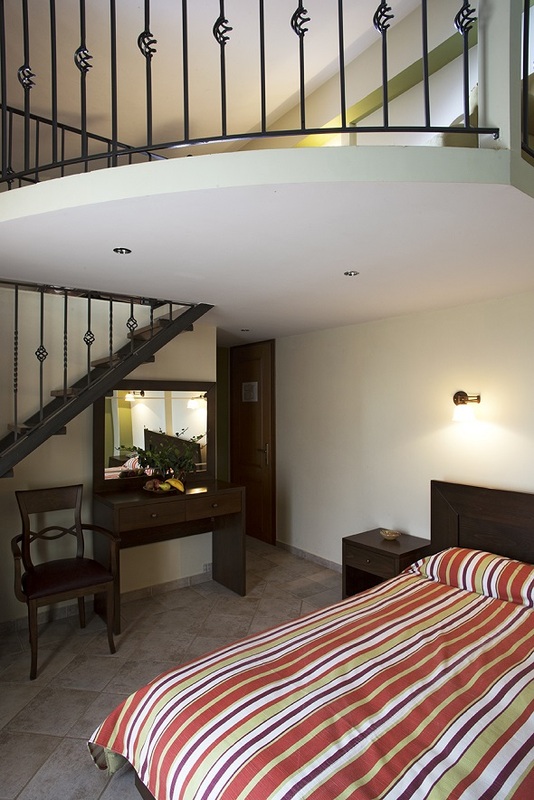 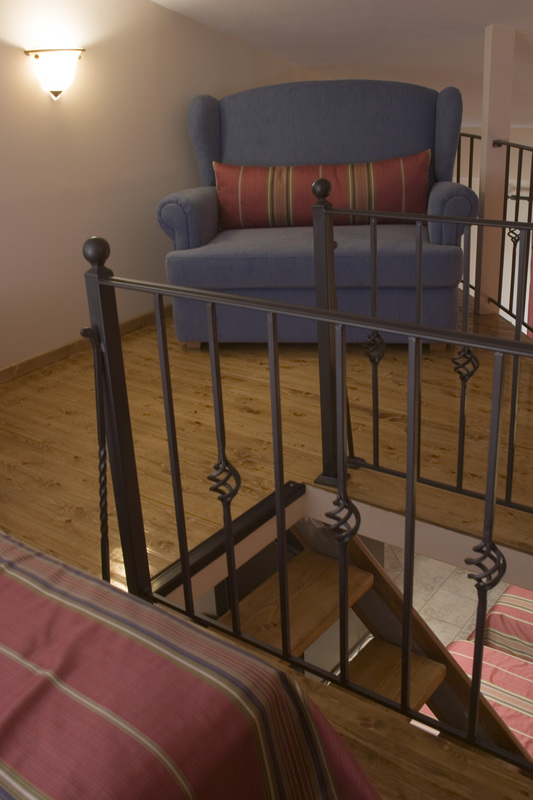 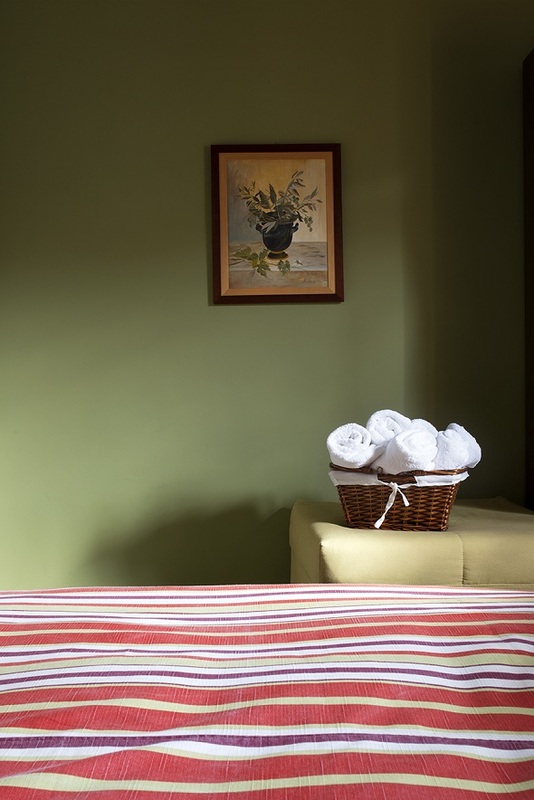 Request one of our Loft guest rooms: Jasmin, Olive Tree, Paeonia. 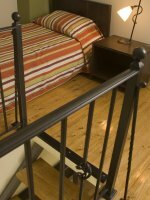 Loft guest rooms can accommodate three to five people. 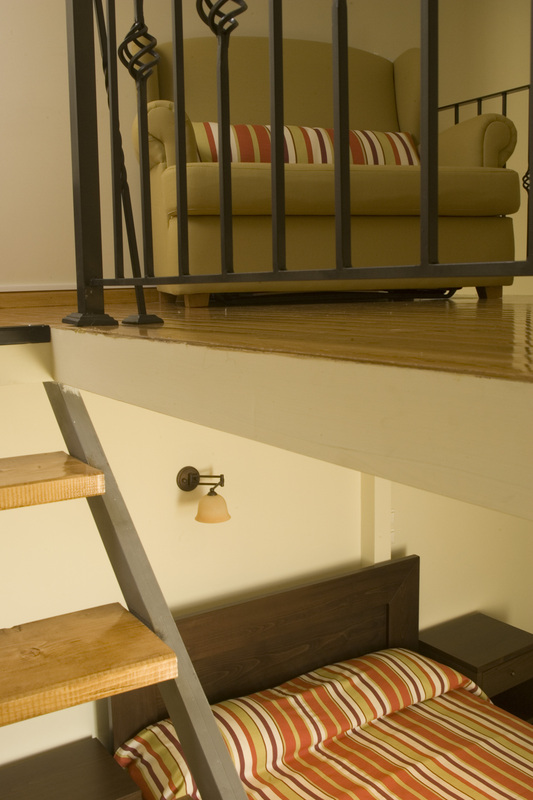 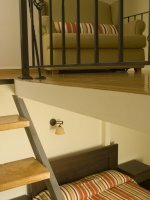 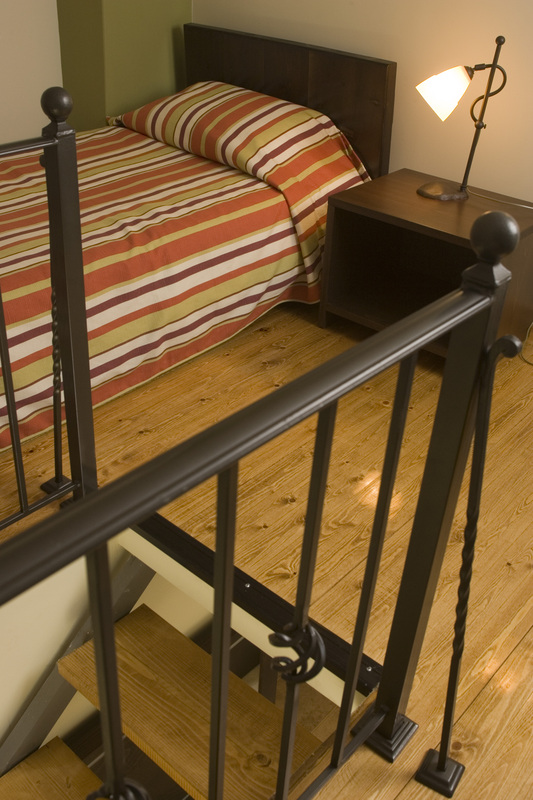 Double beds can be found either on the loft level or on the ground level. 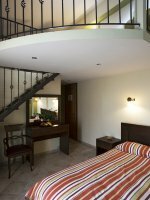 These guest rooms are usually preferred for family use.